The Sonoma Skies collection by Tacori presents this delicate bangle. 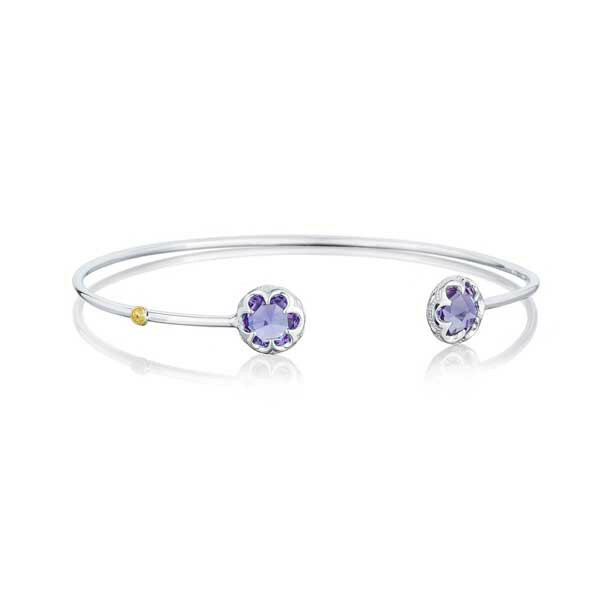 A thin strand of sterling silver wraps beautifully around your wrist, and either end is capped with a brilliant amethyst gemstone that is encased in a sterling silver basket with the signature crescent design. An 18kt yellow gold gem seal winks from one side of this irresistible piece. Whether you wear it stacked or solo, this Tacori cuff will make a great impression on your style.